24+ Seeds. (larger sizes available). These vines are just NEAT - from start to finish. 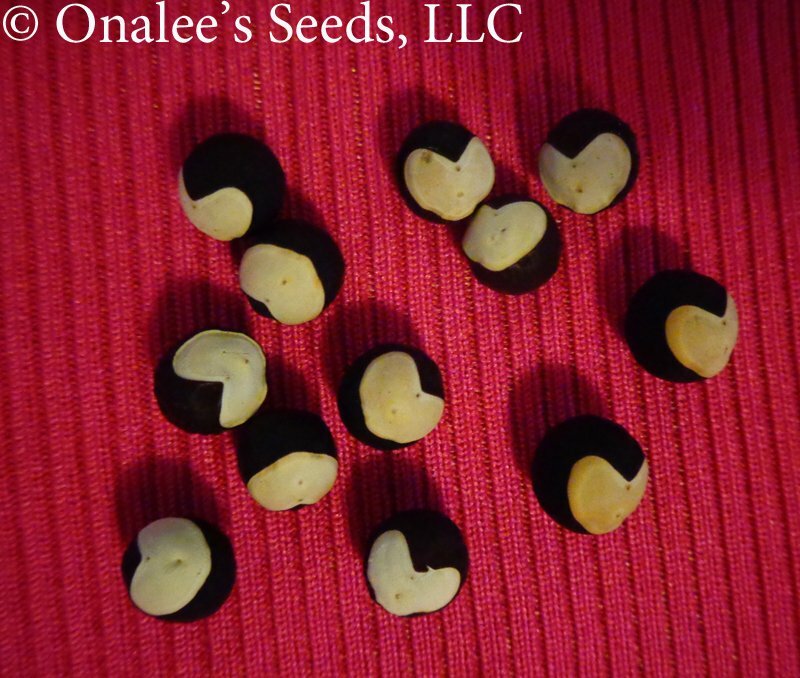 From the brown/black seeds each with a cream colored heart shape on it to the lovely vine with tender trendils which hold delicate white flowers to the PUFFS which start green and turn to a golden brown which hold the LOVE in the way of 2-3 of those cute seeds, Definately a fun plant to grow. 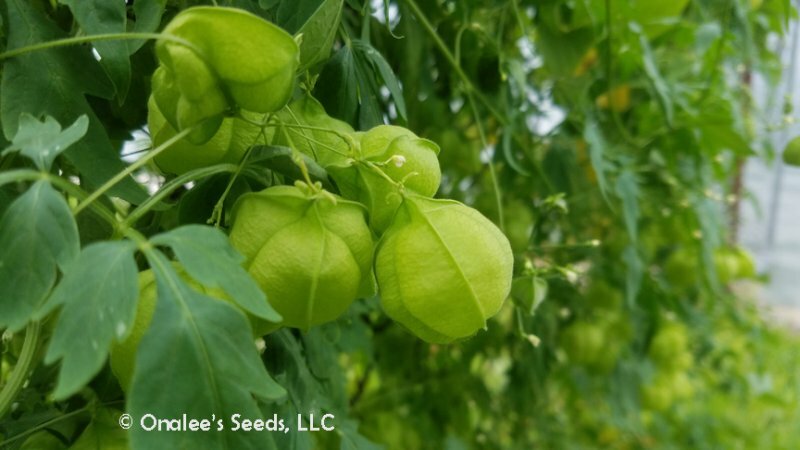 You are buying 24+ Love in A Puff, Balloon Vine, Heartseed (Cardiospermum halicacabum) Seeds. Planting instructions will be included with them. Larger packs available, see drop down box at the top of the page near the order button. These vines are just NEAT - from start to finish. 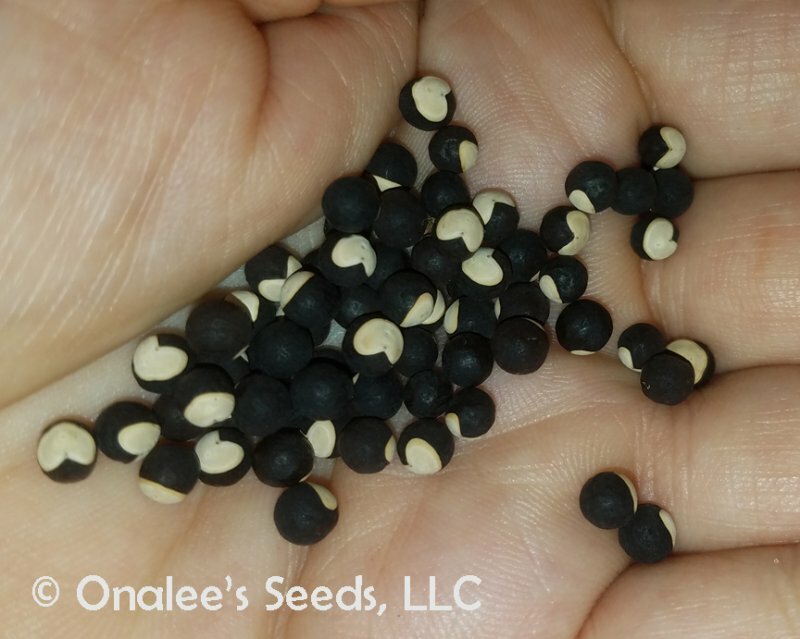 You start with hard-shelled brown/black seeds that each have a perfect cream colored heart on them. 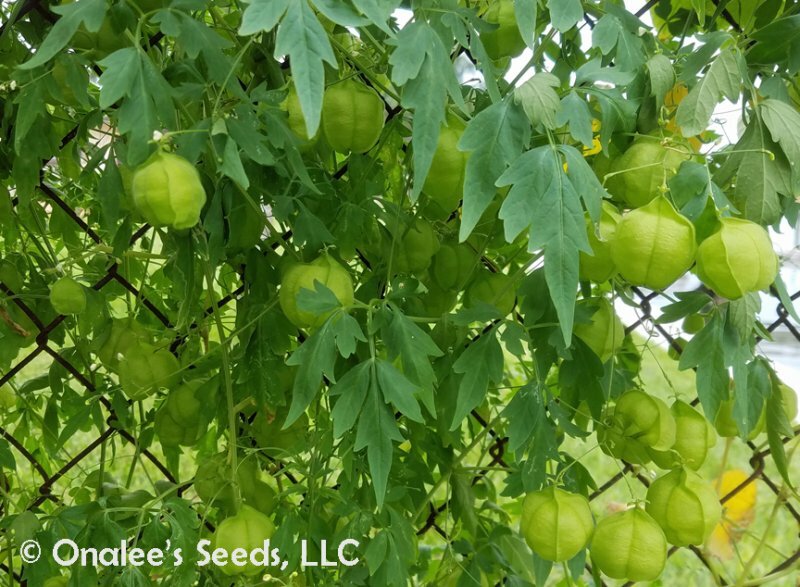 These grow into vines with tender tendrils that will climb any fence or trellis in full sun or part shade. 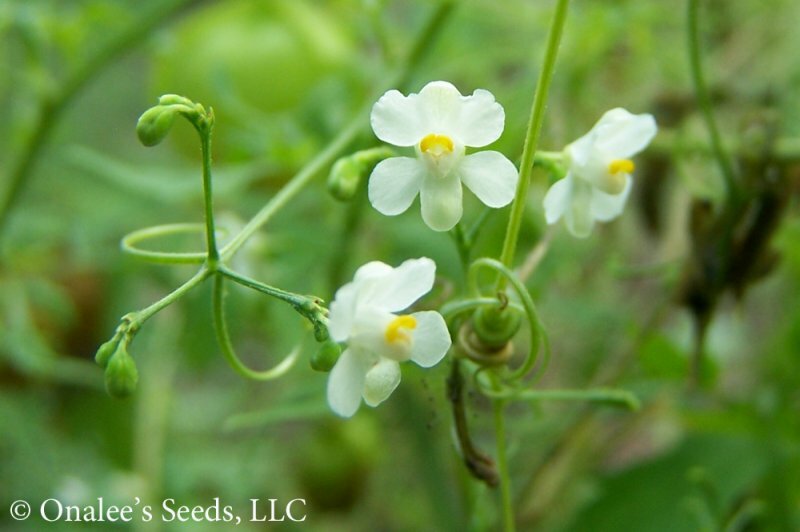 On the end of each tendril are several small white flowers which are followed by the PUFF. Each puff starts small and green and as it matures turns to a golden brown. At the end, you get your LOVE back with 2-3 seeds in each PUFF, each with it's own little heart. These make FANTASTIC Baby Shower, Wedding Shower, or Wedding Favors!! Put a few in a fancy envelope or sachet for your guests to plant and think of you with each harvest of little hearts. These are reported to be perennials in zone 9b and warmer I live in 9a and can tell you they are ANNUALS here - grow as an annual in zones colder than 9b. They grow and flower quickly, so it's not a problem to grow these as annuals.